Twenty-eleven is a history-making year in Texas. At this time we are in the middle of the worst drought in over 100 years and one of the longest stretches of 100-degree-plus days in the last 50 years. There is really no place in Texas to go to escape the situation, but we decided that we would change the scene we see outside our window to break the monotony. 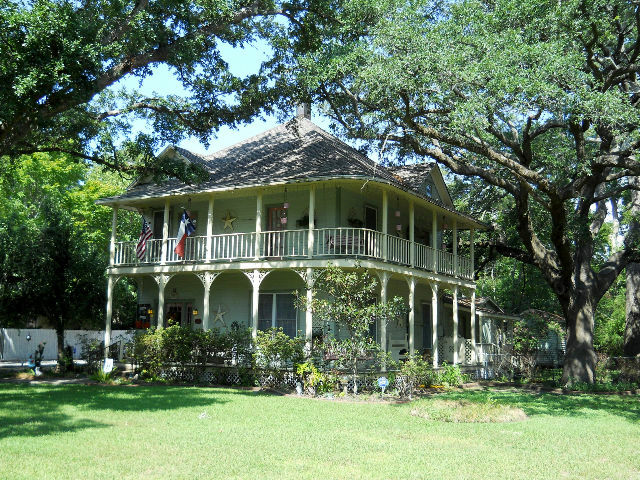 San Leon is a small community on the west side of Galveston Bay on the outskirts of Houston that we have never visited. Turns out that there is really nothing to do in San Leon except fish or eat fish, but we found a campground right on the water. Our site at Eagle Point Fishing Camp was right on the Galveston Bay with a good view of the oil tankers and container vessels on their way to the Port of Houston. It was a good central location for our exploration of the area. Tropical storm Lee came by and headed to Louisiana with all its rain - we got some 30-mph wind is all. [Monday] We left home around 2pm and went down TX-6 South from Richmond. At Alvin, we switched to FM-517 which took us into San Leon. 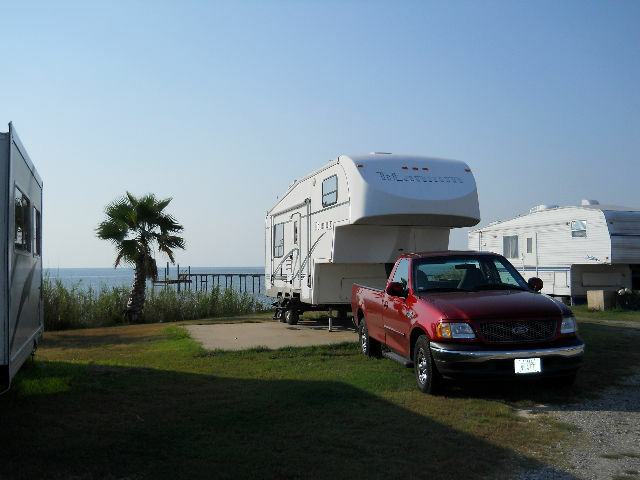 At San Leon, we settled our RV into Eagle Point Fishing Camp on Galveston Bay. We got a good site within about 20 feet of the bay. 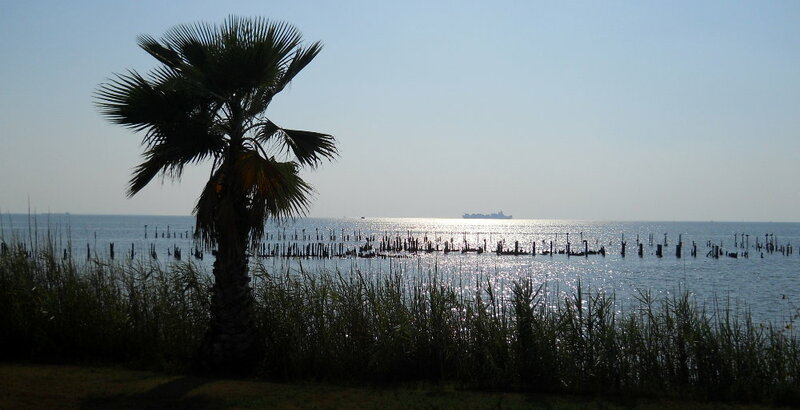 From our campsite, and the comfort of our air-conditioned 5th wheel, we were able to view the many large tankers and cargo vessels traveling along toward the Houston Ship Channel. Many water birds were resident on the poles sticking out of the water from Hurricane Ike. 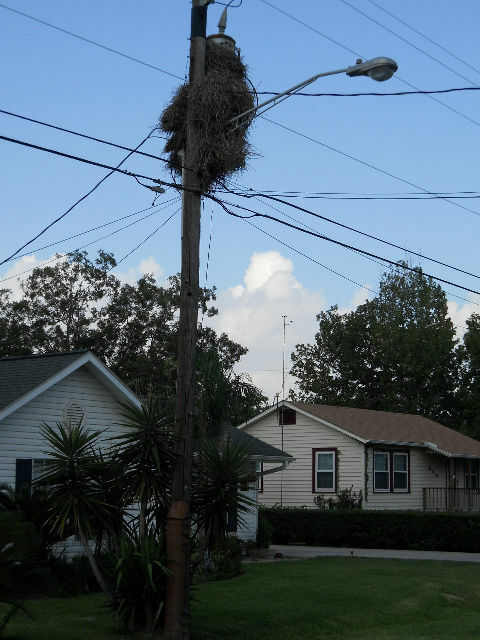 There were large nests made by parrots on the electric poles next to the transformers around the park. < Eagle Point Fishing Camp. < Parrot nests. [Tuesday] We drove to Texas City and visited Heritage Square. This is a grouping of 4 historic homes from the area. 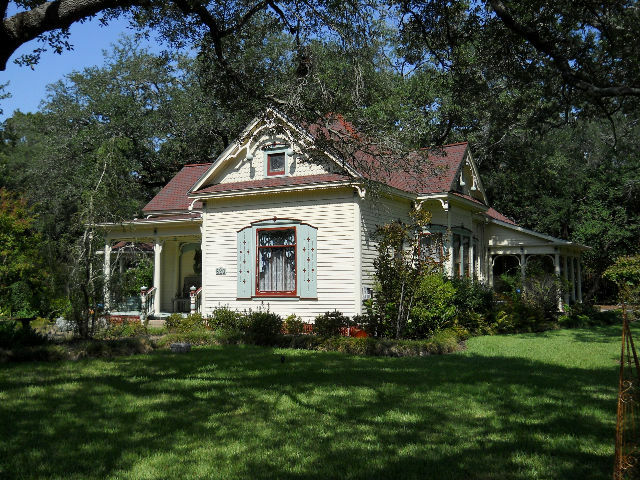 The Davison House was built in 1897, and was the home of the first child born in Texas City. 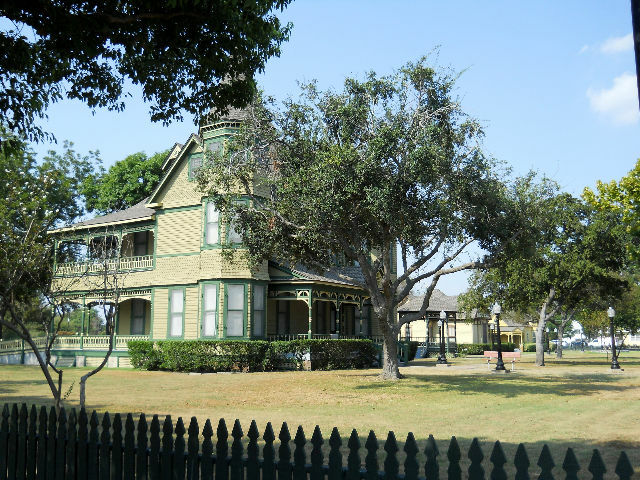 The William Moore Home was built in 1895. Unfortunately, we were not able to view the inside of the homes because they are only open one day a month. After viewing them for the street, we drove to the Texas City Dike. It is proclaimed to be the longest man-made fishing pier - 5 miles - and is a part of Texas City's flood control system and haven for local fishermen, boaters, and water enthusiasts. 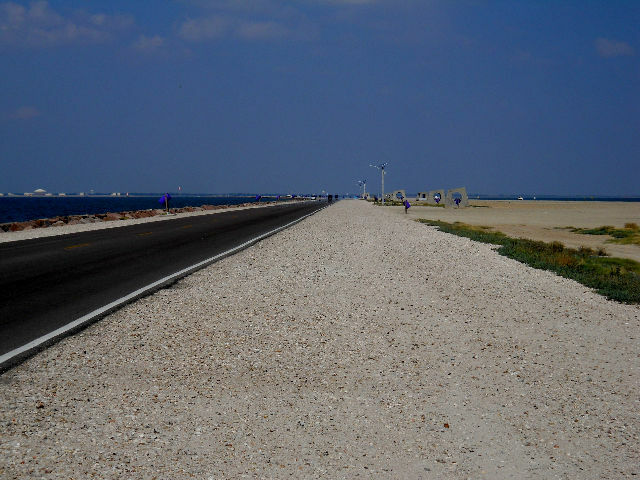 On the return from the end of the dike, we drove Skyline Drive along the Texas City seawall. We stopped at the Halfmoon Shoal Lighthouse Pavilion. 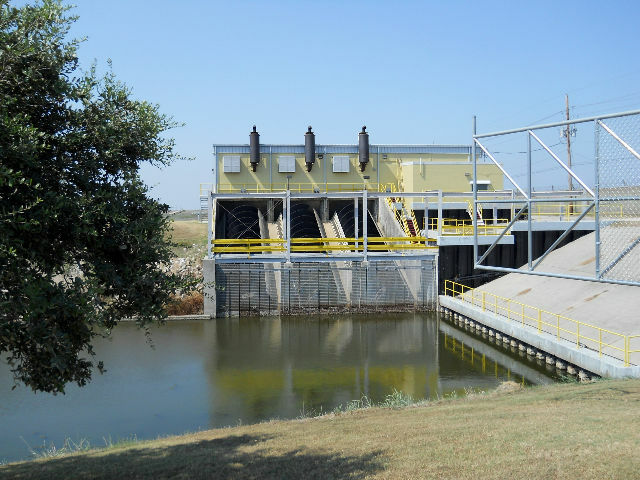 Inside are large displays that explain the workings of the Texas City flood control system, including how they use the giant Archamedes screw pumps to pump up to 1-million gallons of water a minute from the city storm sewers into Moses Lake, where it then empties into Galveston Bay. < Heritage Square. < Texas City Dike. < Halfmoon Shoal Lighthouse Pavilion. < A pumping station. We ate lunch at the local Subway and went to the Texas City Museum. 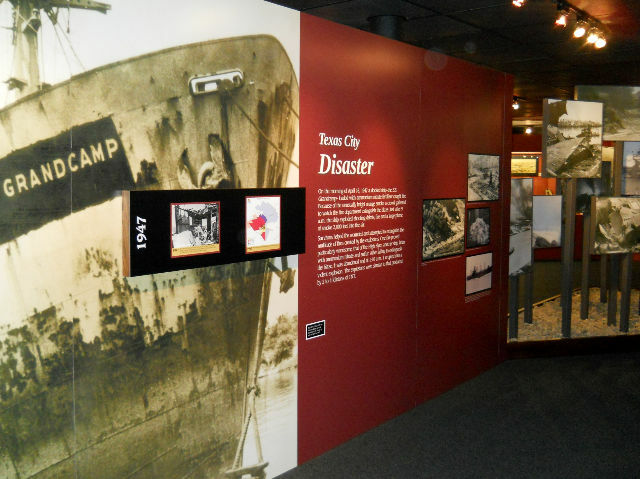 It outlines the interesting history of the city with a special section covering the 1947 Texas City Disaster, the deadliest industrial accident in American history. The incident began with a mid-morning fire on board the French-registered vessel SS Grandcamp which was docked in the Port of Texas City. The fire detonated approximately 2,300 tons of ammonium nitrate and the resulting chain reaction of fires and explosions killed at least 581 people and destroyed everything within a 2-mile radius. 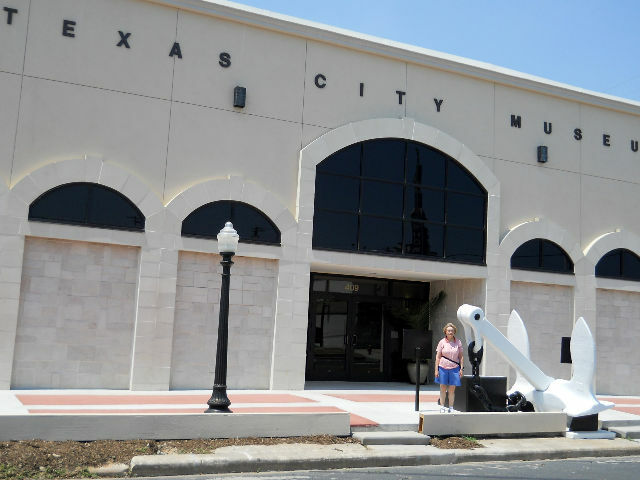 < Texas City Museum. < Texas City Disaster. We then drove back to San Leon and enjoyed a steak dinner at The 18th Street Pier. [Wednesday] We drove up TX-146 to Seabrook and stopped at the Seabrook Visitor Center. 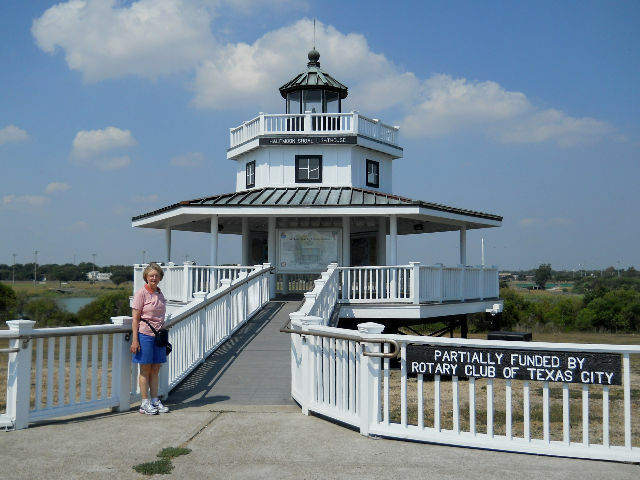 We drove around the area along Galveston Bay and ate lunch at Hester Garden Park. This looks to be a nice park to come when the weather is cool. It has several good trails through the woods only a few hundred feed from the bay. After lunch, we continued up TX-146 to TX-225. Then on Independence Pkwy to the San Jacinto Battleground State Historic Site. We toured the San Jacinto Monument and Museum for several hours. 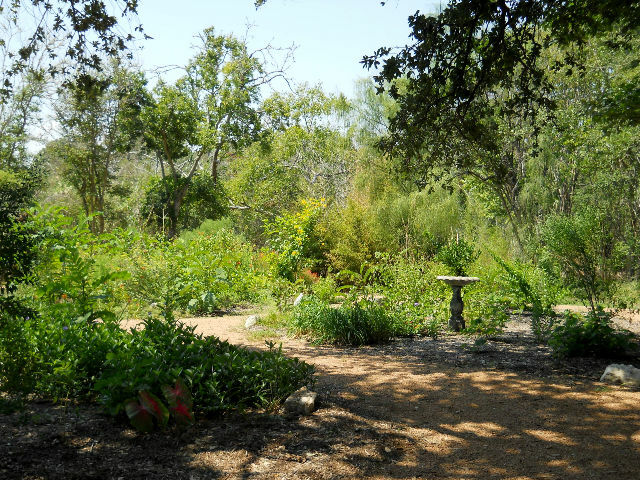 The site is where Texas, in 1836, won its independence from Mexico when an outnumbered Texian Army heroically defeated Mexican forces on the plains of San Jacinto. 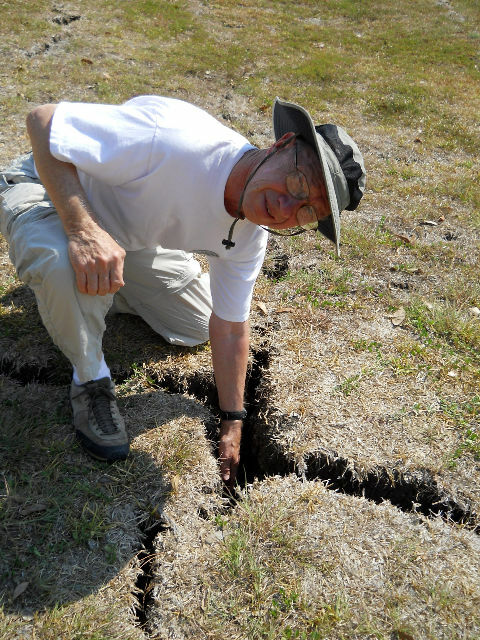 Due to the extended drought in Texas, we saw lots of evidence of its affect on the ground around the monument. 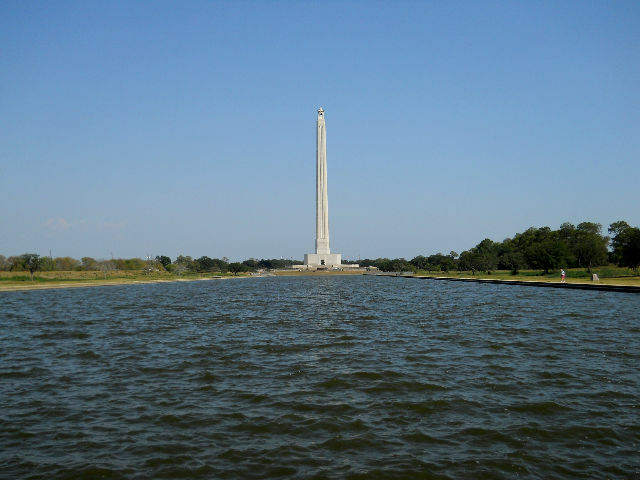 < San Jacinto Monument. 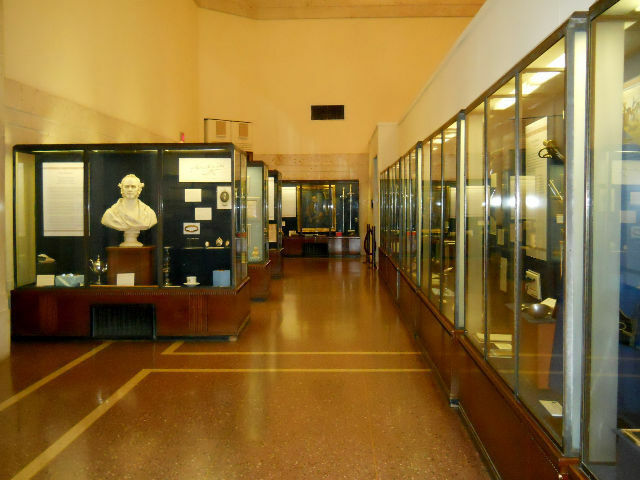 < Museum. 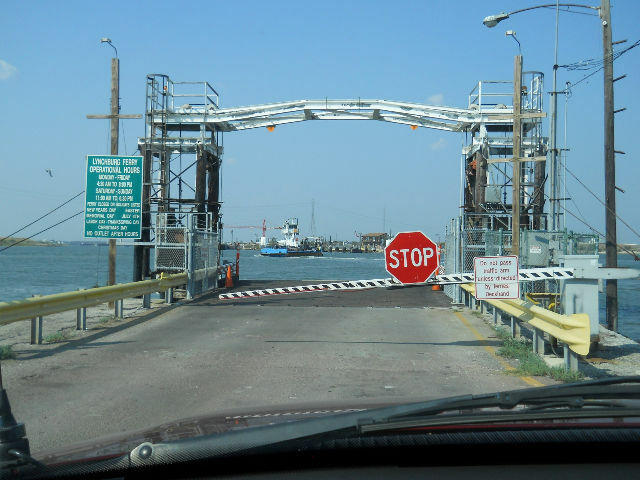 Then drove to the Lynchburg Ferry and rode the ferry across to Lynchburg (Baytown). We circled back downTX-330 and TX-146 to San Leon. 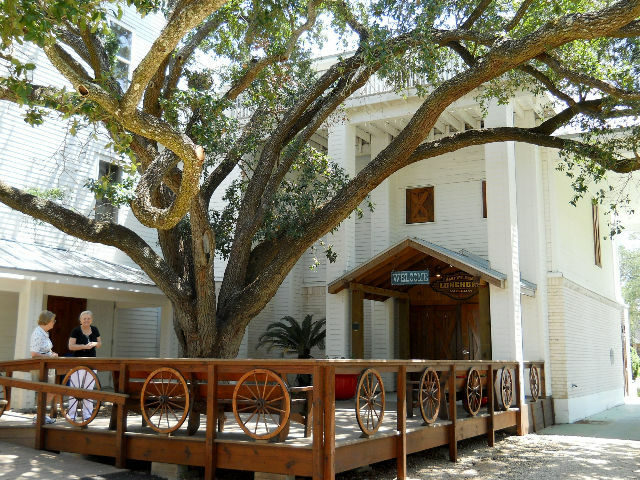 [Thursday] We went to League City and took the walking tour of the Historic District. The city was laid out in the 1890's and there are several old homes from the early 1900's still in use. Also there are many century old majestic Oak trees throughout the district. 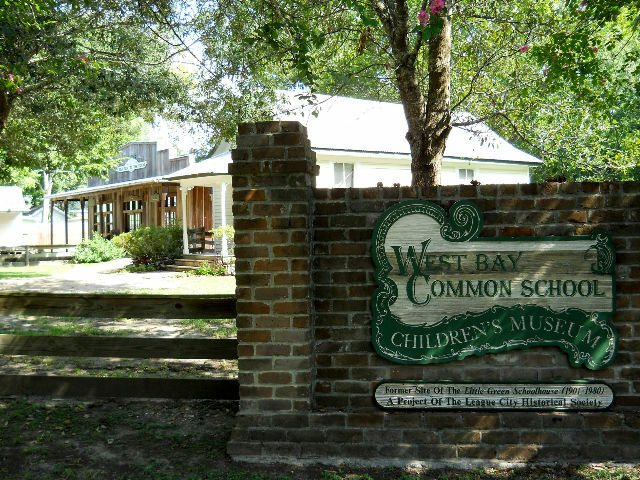 Located in the Historic District is the West Bay Common School Children's Museum, which houses local artifacts. On the same property is the unique building of the Salmon Ice House/Barbershop. < < A sample of the historic homes. < West Bay Common School Children's Museum. We ate lunch in the park next to the Butler Longhorn Museum, then took a tour of the museum. Longhorn cattle are synonymous with Texas and its ranching history. Yet at the beginning of the 20th century, Longhorns were on the verge of extinction. Today, the Longhorn is alive and well due to the efforts of six pioneer breeders and a few far-sighted federal employees who refused to allow these animals to become extinct. 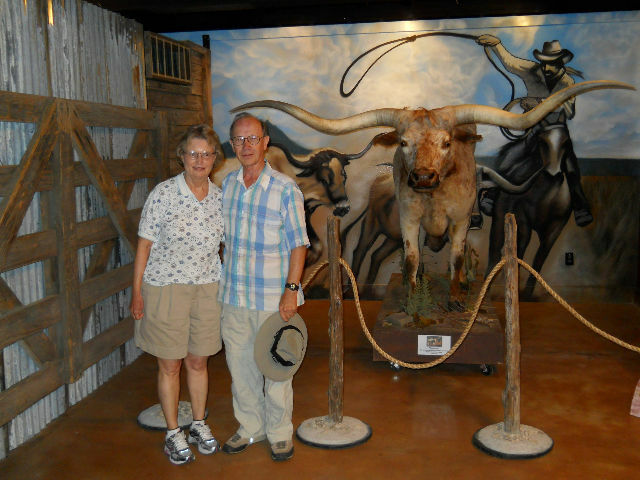 The museum is located in a former homestead and surrounding land that has been transformed with the help of volunteers into a state-of-the-art museum showing the story of the Texas Longhorn. < Butler Longhorn Museum. < Kay & Lawson at museum. We returned home and enjoyed some good seafood at Bubba's. 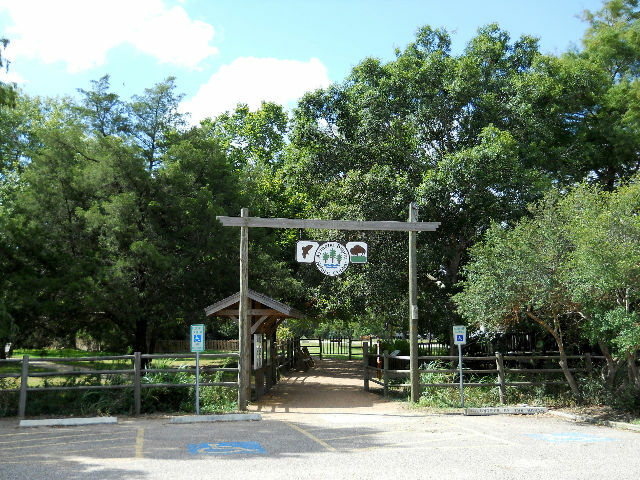 [Friday] We decided to brave the heat and drove to Pasadena to the Armand Bayou Nature Center. It is a well-preserved wilderness area of some 2500 acres. It is home to a variety of wildlife. Before it got too hot, we were able to walk the Discovery Loop trail, which gives a good preview of the park and passes through the Martyn Farm display. This would definitely be a nice park to visit in the spring or fall when the birds are migrating through the area. 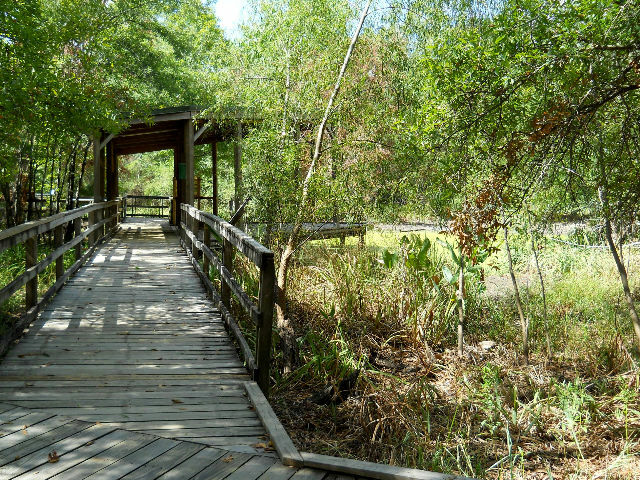 They have several well-maintained trails in the 1-2 mile length that go through forested wetlands and prairie along Armand Bayou. We ate lunch at the nearby Bay Area Park which is good for picnicking. After lunch we drove by Sylvan Beach Park just to see what was there. A railroad museum was not open. The beach did not look very impressive. < Armand Bayou Nature Center. < Nature center trail. 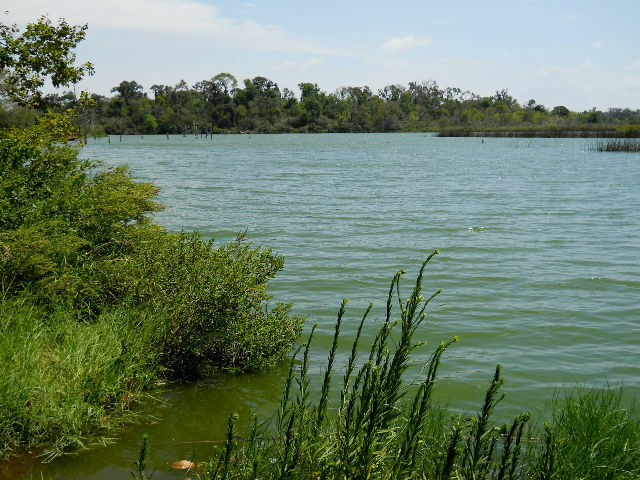 < Armand Bayou from Bay Area Park. [Saturday] We spent the morning cleaning the inside of the trailer and preparing to leave San Leon. After lunch, we took the short trip back home. This draws to a close our visit to San Leon and the Galveston Bay area. We hope you enjoyed the photos and brief descriptions of our activities. God willing, join us again soon for another RV adventure.